Cultural Connections is a series of 12 week long, literature based, hands-on curriculum guides that have been designed to be used with 6-8 year old children. These guides have been created to help introduce young students to the cultures and people from around the world. We will focus on the elements of life that we all have in common such as family, food, festivals, crafts, music, and games. 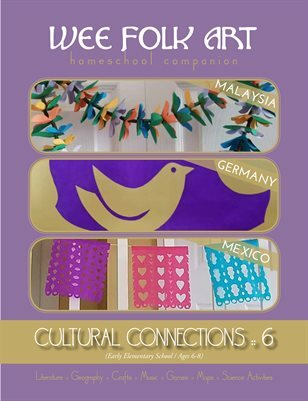 Unit Six will include activities for Malaysia, Germany, and Mexico. Make batik fabric, taste bratwurst and bratkartoffeln, and play the loteria game.